I have been working on Azure Infrastructure Services since it was in preview release. 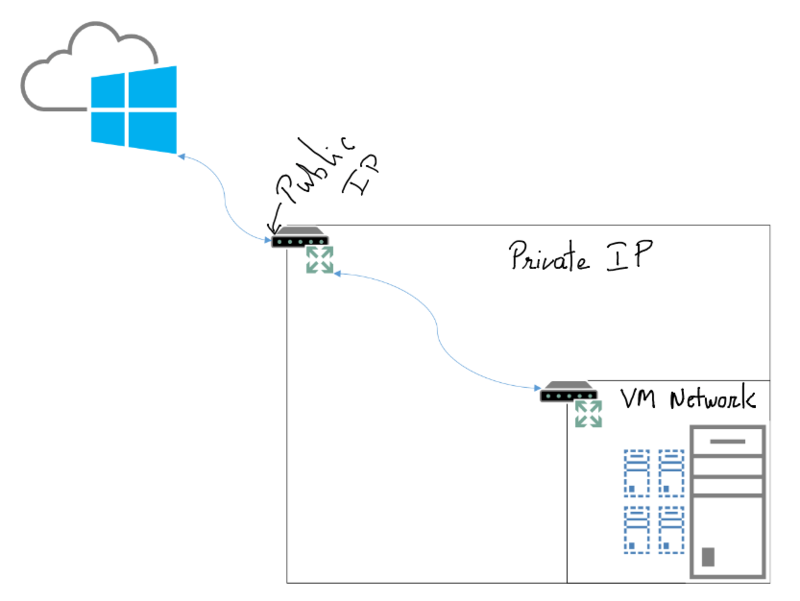 One of the requirements I was working with was hybrid scenario where VPN between on-premises servers and Azure VMs was essential. Since I was doing all the required testing in my lab at home office, I did not have infrastructure you would usually find in corporate datacenters. I didn’t have a need to buy expensive routers and servers for testing I was doing. 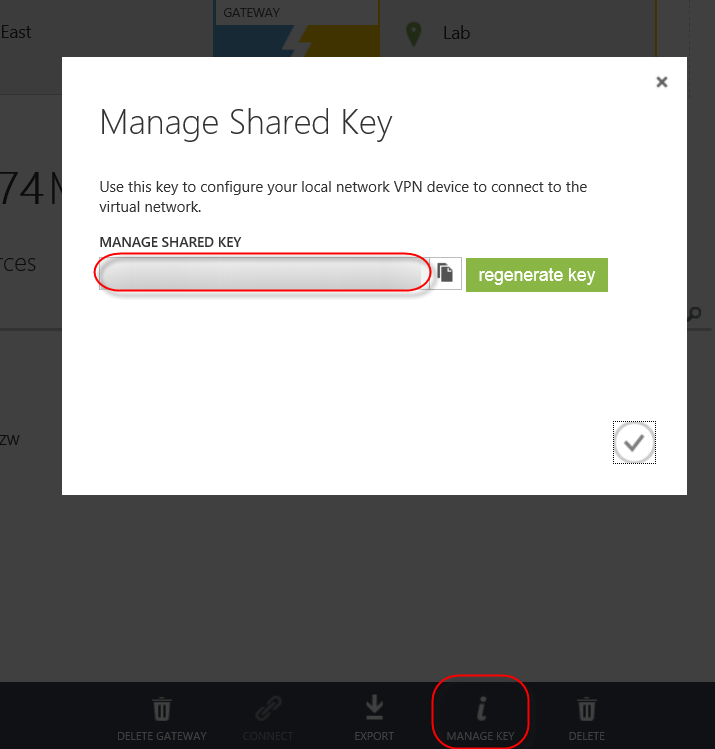 Looking at Azure VPN requirements, you will notice that Windows RRAS is one of the known compatible device. However, all references I found talks about Internet interface of RRAS server must be a public IP address and can’t be behind a NAT router. I did try anyway only to fail. So I turned my attention to other VPN devices. Again referring to requirements, it was important that the VPN device supports not only Site-to-Site VPN, but must also support AES encryption. I found Netgear FVS318 which was about the cheapest alternative I can find that seem to have met all Azure listed VPN requirements. It didn’t have to be supported device in my case. So I just have to try it and see if it works. Lot of home or even small business networks look something similar to mine. You have a single router provided by cable provider or ISP. 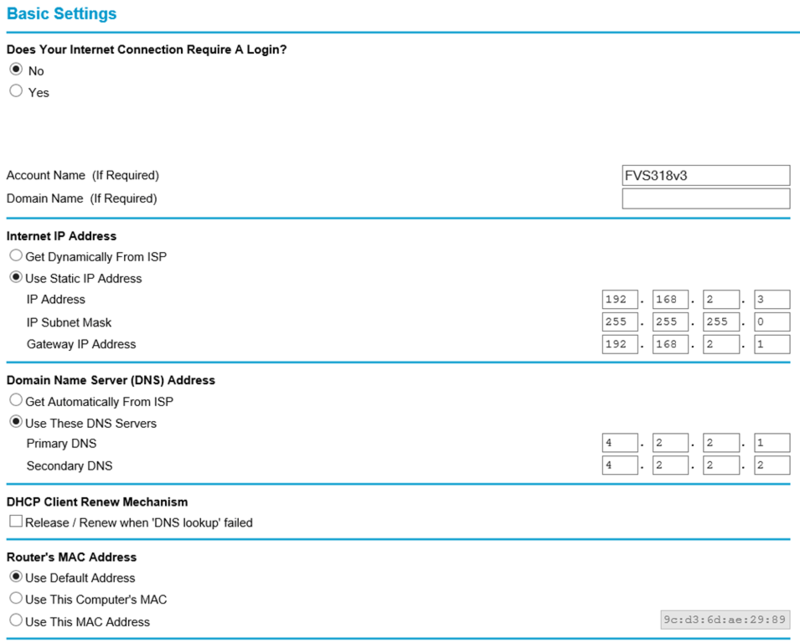 It usually is basic NAT router with single public IP on external interface and private IPs on internal interface. It is important to mention that to keep it less complex, I did get two static IP addresses from my ISP. 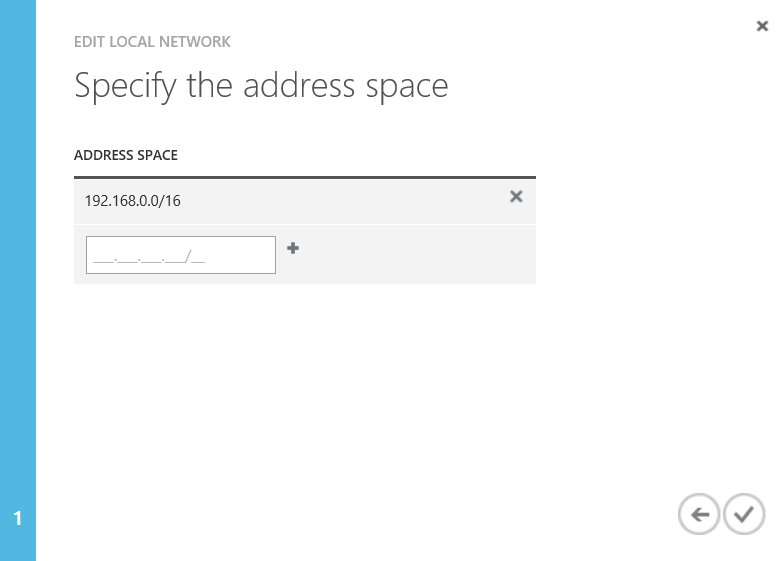 One for all home traffic going to internet which will be using one IP and second IP will be dedicated to Azure VPN. The problem of single NAT router still remained as the router wasn’t advanced enterprise class router and didn’t have capability to allow public IP addresses on the “inside”. The only option I had was to use VPN device on the 192.168.2.x range and have 1:1 NAT using dedicated second public IP. Now that basics are out of the way, let’s look at how I went about configuring it. Before I can setup VPN device, I needed to gather a bit more information. I needed shared key and just because I wasn’t familiar with all needed settings, I also chose to download VPN device script even though it wasn’t going to be for my device. To get the key, click ‘Manage key’ icon at the bottom of network dashboard page I mentioned above. You can simply copy the key to clipboard for configuration later. The only setting from script that I couldn’t find option for was to set tcpmss to 1350. I chose to leave it alone instead of changing MTU on internet interface. Now that the configuration is done on NetGear device, I headed over to my ISP router and configured 1:1 NAT for my dedicated IP that I had configured in Azure portal as my VPN gateway of local network. I made sure that 1:1 NAT was forwarding all traffic intended for this IP to NetGear FVS318. The last thing I wanted to do to make sure everything was working as expected was to open RDP session from my Hyper-V VM to VM in Azure. 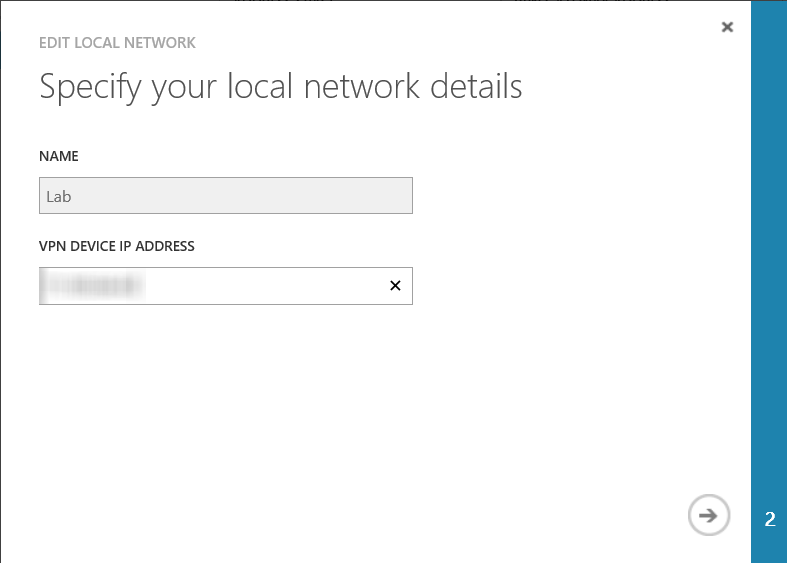 All I had to do was pull up RDP client and use the IP address from my Azure VM. Everything worked as expected. Couldn’t be happier but why stop there? So I decided to change gateway in Azure to my shared IP (to see if it would have worked for you guys who don’t have dedicated IP to spare). 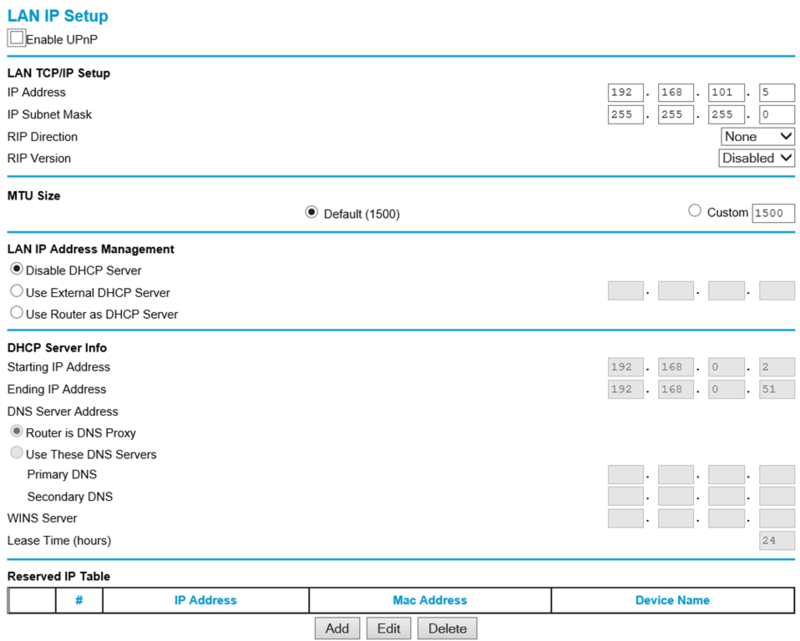 I then created port forwarding rule on my ISP router that included UDP ports 500 and 4500, protocols AH and ESP. I already have prebuilt rule in my router so depending on your ISP router, YMMV. And sure enough, this setup worked as well. So as long as you have UDP 500, 4500 and protocols ESP and AH forwarded to your VPN device, it seems it should work. Now I can’t tell what it will break… for example, if you are using your laptop at home to connect to work which might be using same protocols… worth thinking about and testing. I don’t have resources to test that scenario so I will leave you with two options, take a change and use shared IP NAT or dedicate an IP and use 1:1 NAT. it worked for me either way. Can’t guarantee it will for you but you now have hope since I was able to do it! Great post Bhargav, nicely done. I can see you had fun writing this! Yes Nic, it was interesting for me to set up different ways and see what the challenges were for each setup. What are the resets for? Are you sure they are related to Azure connection? It could be for any connection for given ports. This is the new device I have only configured the Azure VPN site to site. This is a nice and informative blog. Thanks! I don’t have exact details but when I was trying it didn’t work when behind NAT. If it works now, that is great news. Do you have any configuration document that can help deploy the scenario? If not, I will try it out and document when I am able. What type of firewall did you have ? It does say it will not work behind NAT, but I’m about to try behind a asa 5510 . I am behind Verizon FIOS router which is a NAT firewall. It is Actiontec MI424WR. And it certainly worked for me behind the NAT! YMMV. Hello Fahad, do you have steps on how did you manage to establish it successfully. Do you know if this model would work? Which one did you use? I don’t have the device handy ATM, I believe it is v1. 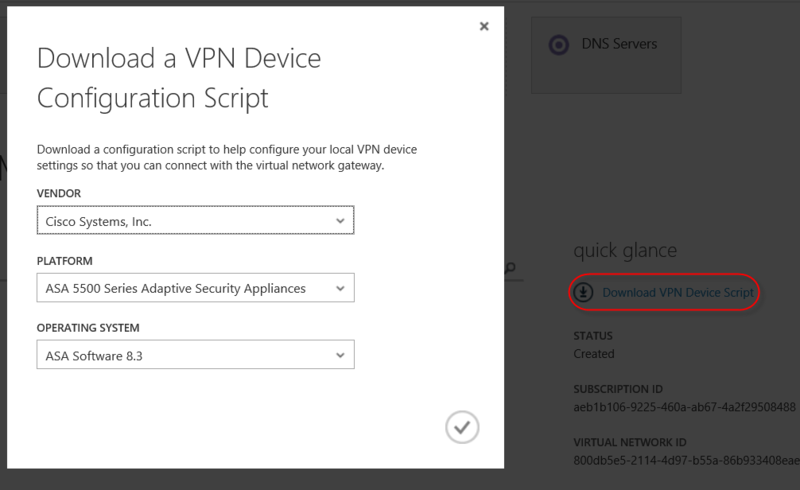 Also, the specs provided on the link you mentioned seems to meet the requirements and should work with Azure VPN. YMMV.